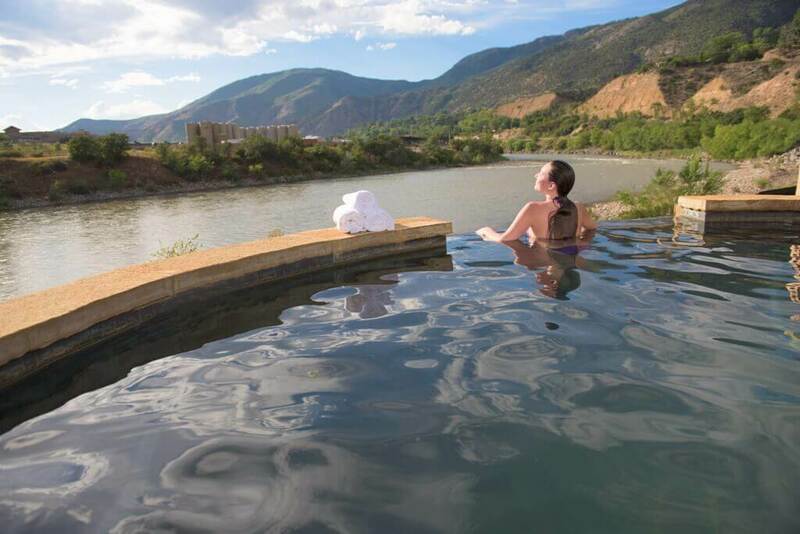 Creating a practice of mindfulness can help cultivate a sense of peace, gratitude and acceptance and what better place to put you in a relaxed state of mind than Iron Mountain Hot Springs! Mindfulness is the basic human ability to be fully present, aware of where we are and what we’re doing, and not overly reactive or overwhelmed by what’s going on around us. Doesn’t sound too hard until you sit down, close your eyes and attempt to clear your mind of thoughts—suddenly you’re thinking about your to-do list, the time, what you’re going to have for lunch and on and on. We caught up with Donna Love, a 35-year resident of the Roaring Fork Valley, long time realtor, owner of Creating Conscious Spaces and a daily practitioner of mindfulness. She provides some insight into this ancient practice and how to meld mind, body and spirit all while soaking in the 100 percent pure mineral water at Iron Mountain Hot Springs. What is your definition of mindfulness? Mindfulness is being present in the moment. It’s paying attention without thoughts or words or judgment. When I’m sitting in one of the soaking pools at Iron Mountain Hot Springs, I ask myself what am I feeling right now and I allow my spirit to align with the space I am occupying at that moment. Right now it’s springtime, so while soaking I am conscious of my body in the pool, the sensation of the water around me, the sounds of nearby river, the chirping of birds. Do you think it’s easier to practice mindfulness in certain settings? Yes. But you can practice it anywhere, including while you’re in traffic or at the grocery store. The beauty of practicing at Iron Mountain Hot Springs is that as humans we have a primordial connection with water that goes back to our birth. Water is cleansing, healing, refreshing and revitalizing. The mineral hot springs combined with the river so close by provides a powerful opportunity for listening from the inside out. There is also a calming, relaxing and very therapeutic energy here that facilitates a sense of peace and centeredness. Do you have a favorite time of day for your practice? Definitely mornings. Starting your day with a mindful practice whether that is a nature walk in your neighborhood or a soak in an outdoor hot spring, our consciousness tends to be more receptive after waking and before we’ve completely immersed ourselves in the tasks of our day. Part of my daily practice is to see, listen and feel the world around me. There are always surprises. For example, sitting beside the Colorado River and having a bald eagle soar past me the last two times I was there is, in my opinion, a sign of the magic of this place. We are so fortunate to dwell in such a high-vibration and wonderful place. What interferes with practicing mindfulness? Everything can, but nothing has to. I think the hardest part of practicing is giving up control and just being, without expectation or judgment. With practice you will sense the stillness beyond the quiet. How do you get better at practicing? Make it a ritual, a habit. If you can, go to Iron Mountain Hot Springs on a regular basis, find your rhythm, your favorite time of day, your favorite soaking pool. It is an ideal environment in which to shift your consciousness. 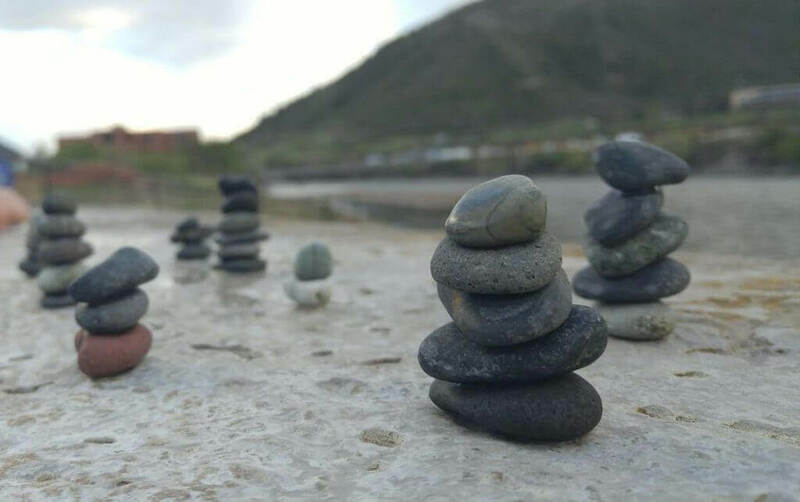 Do you have any practical tips for practicing mindfulness at Iron Mountain Hot Springs? One of the things I like to do is sit in the one of the pools closest to the river. Facing the river I allow thoughts come into my mind, rather than hang on to them I release them to the river and let the current to take them away downstream. Any final thoughts for readers? Mindfulness is a peace that passes understanding down in your heart. It’s a mystery that you can’t figure out with your brain—so practice and be patient with yourself. Be calm; be peaceful; be present. Just be at Iron Mountain Hot Springs.